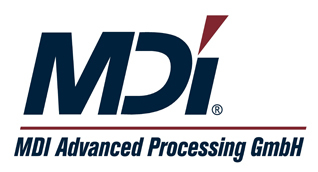 The precision systems of our LD, TGC, and DLC series offer all the advantages coming along with contactless glass processing. 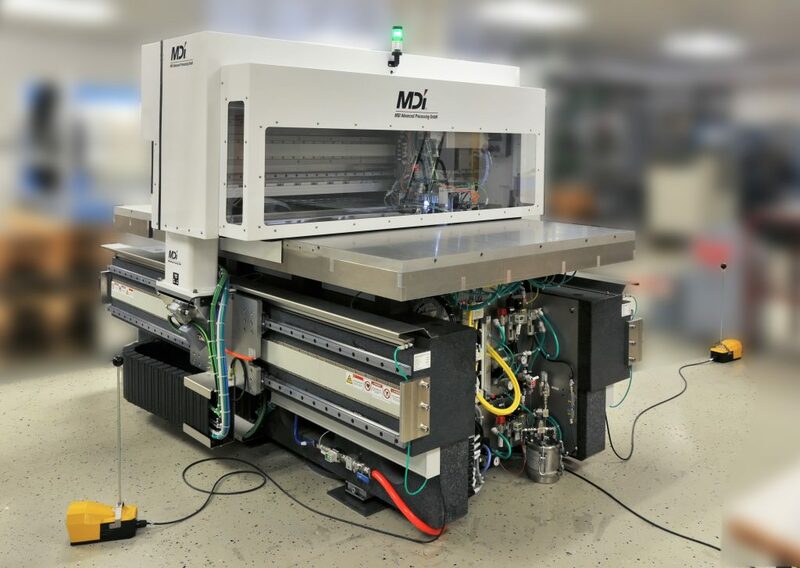 Hybrid machines that combine multiple technologies (green laser, CO2 laser, cutting wheel), as well as customer-specific modifications and system integrations are available. 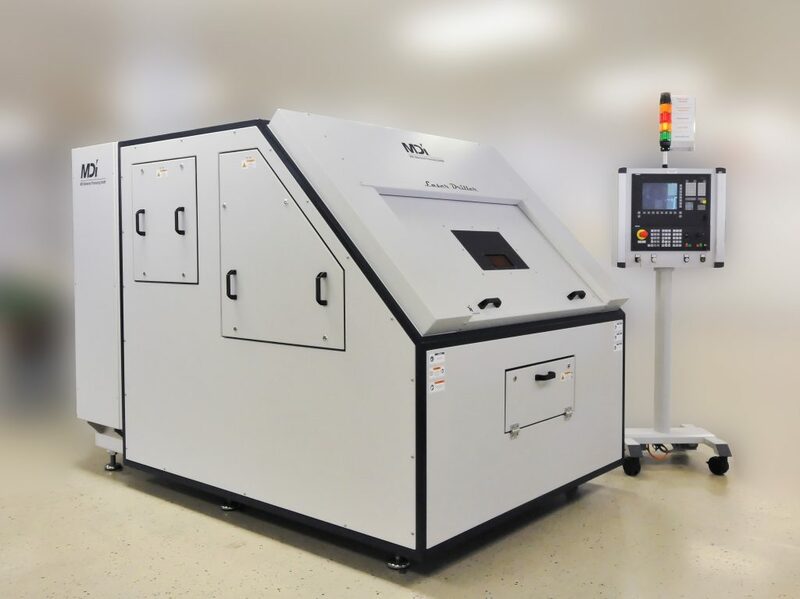 The laser drilling and cutting machines of our LD series equipped with 532nm laser technology (“Green Laser”) provide high quality ablation of brittle materials for a variety of industrial applications. 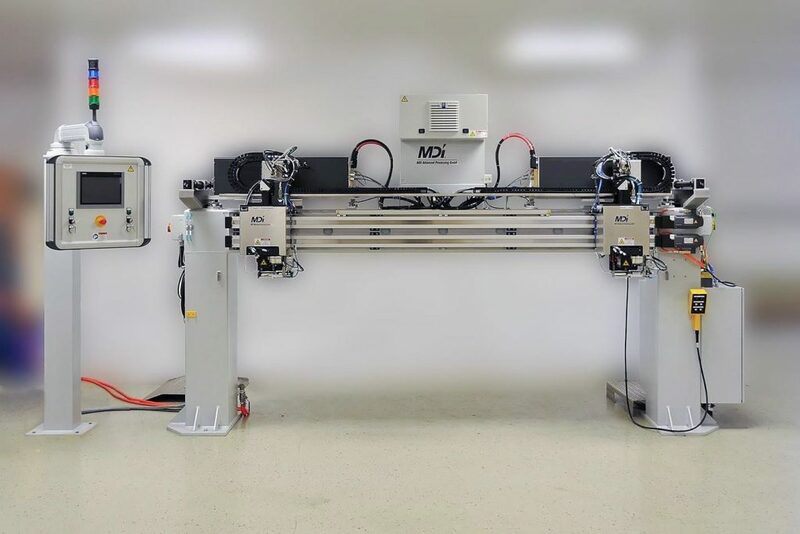 The patented CO2 laser technology by MDI enables use and handling of ultra-thin glass not only in the experimental phase, but also in industrial production. 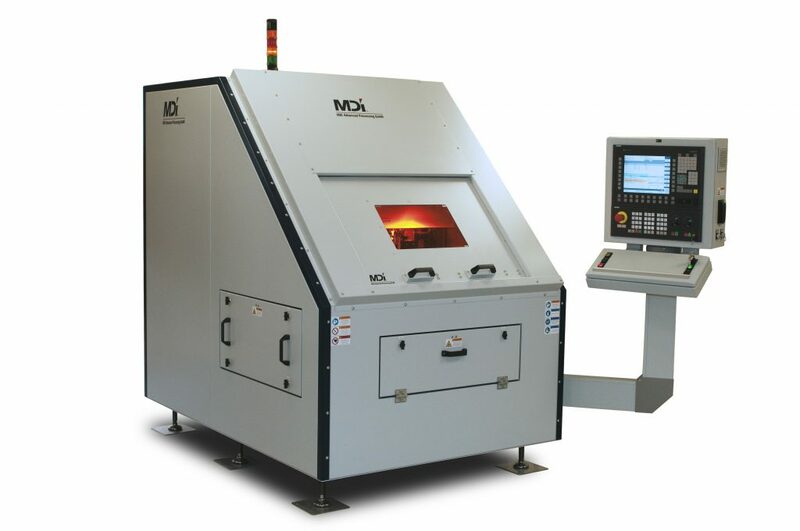 The precision systems of our CO2 laser cutting machine DLC offer all the advantages coming along with contactless glass processing and enable highest edge strength for your applications. Numerous customized system are currently in use operating 24/7. In all cases the conveyor unit was provided by customer. 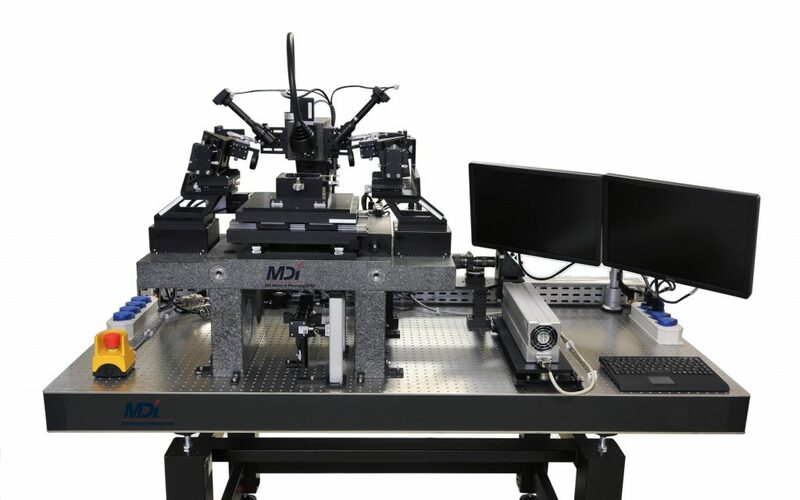 In cooperation with Fraunhofer IZM we designed a system that enables laser joining of fiber optic interconnects for communications and sensors.